When people think about visiting Africa, one of the first countries that comes to mind is Kenya. It’s no surprise really considering what it has to offer; friendly and welcoming people, a well-established tourism industry, its traditional cultures and communities, as well as the beautiful landscapes that envisage the heart of Africa for people all around the world. 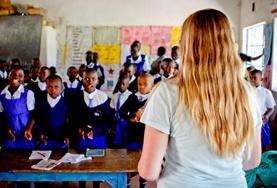 Volunteer as a group with Projects Abroad to truly experience all of the culture and lifestyle that Kenya has to offer. 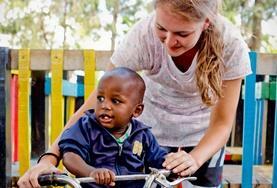 A wide variety of projects are available to groups volunteering in Kenya. These include working with children and building a classroom in a local school, aiding patients of all ages in local hospitals and clinics, or conducting multiple and varied wildlife surveys in the beautiful Soysambu Conservancy. 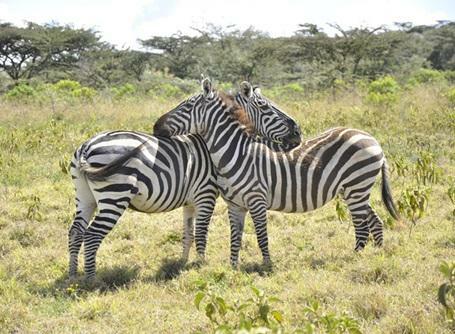 Kenya embraces the true diversity that the African continent is renowned for, from its landscapes to its inhabitants. Famed for its tribal cultures, such as the Maasai and the Swahili tribes, as well as its magnificent national parks, equatorial snow-capped mountains and lush forests. Our base in Nanyuki encompasses a lot of these unique traits and is home to the famous Ol Pajeta Conservancy and Ngare Ndare Forest. With Mount Kenya presiding over the region and the national parks all around, there are a huge number of hikes available for groups to explore offering wildlife watching opportunities within stunning scenery and landscapes. Kenya was under British rule until it gained its independence in 1963, it has since established itself as the dominant economy in the Horn of Africa and is a place filled with hope and exciting development opportunities. Now famed for its diversity and development, everyday life brings together urban families and traditional tribes, ancient customs and modern sensibilities. 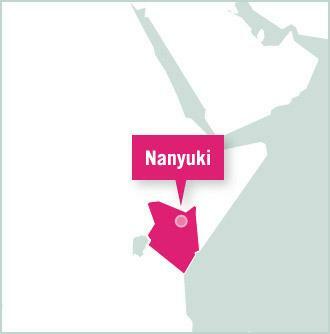 Located 200km north-east of Nairobi, Projects Abroad is based in the town of Nanyuki in the heart of Laikipia County. With the sweeping peaks of Mount Kenya providing the perfect backdrop, Nanyuki is ideal for those hoping to spend a weekend trip ascending to the summit. Home to multiple tribes, the town is known for its welcoming community, positioning along the equator, verdant surroundings and fresh produce. 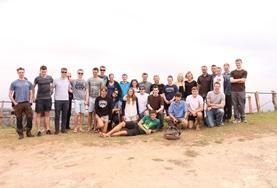 Most Projects Abroad volunteers live with host families, however groups will usually stay in a local hostel or hotel to make organisation and safety more manageable. The friendly staff will make you feel at home and will always be able to provide you with invaluable knowledge of the best places to visit and eat in the local area. Groups will have time off in the evenings and at the weekends to explore the local town or integrate trips to locations of their choice. With landscapes that range from the snow-capped peaks of Mount Kenya to the white sandy beaches and coral reefs on the coast of the Indian Ocean, as well as the vast deserts of the north, Kenya has been attracting travellers, explorers and adventurers for centuries. 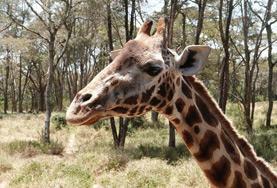 With Kenya being Africa’s original safari destination, most volunteers and groups take full advantage of their weekends and go on safari trips into some of Kenya’s National Parks to try and spot the ‘Big 5’; the African elephant, the Black rhinoceros, the Cape buffalo, the African lion and the African leopard. When you are not working this country will provide you with unlimited opportunities to travel and explore. Our base in Nanyuki lies in the heart of the Laikipia County and is the ideal destination for adventurous souls seeking to summit Kenya’s highest and most renowned mountain, the tallest peaks of which rise 5,199 metres into the sky. 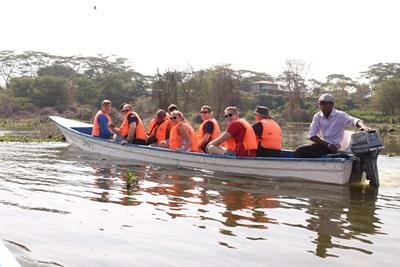 Another popular weekend trip is visit to the thriving and vibrant modern city of Nairobi. Despite these characteristics, the city still keeps true to the wilderness that defines the country. This can be seen after travelling for just 20 minutes away from the city centre into the world’s only urban national park where you’ll still find the Big 5 living wild and free!